Also listed as a UNESCO World Heritage site, this tiger reserve is home to some of the rarest and most endangered animal species of Indian subcontinent such as Indian one horned rhinoceros, capped langur, wild water buffalo and several others. No nature lover can get bored in the area as the topography keeps on changing from woodlands to swamps to elephant grass to even evergreen forests and majestic hills. It is this diversity that the place offers great opportunity to check out a rich mammal, reptile and bird life. To make your trip more memorable, there is also the opportunity to climb atop an elephant and get in close contact with the wild denizens of Kaziranga. 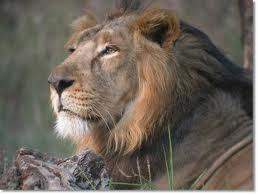 Pay court to the king of jungle in Gir Forests of the Gujarat as it is the only place in India where you can visit him. Their court and lineage has survived many battles and military coups. With a diverse wildlife and a large topography, the forest offers a lovely green setting right amidst the dry part of the state. Visit the park and you will most certainly be overwhelmed with the majestic presence of the Gir lions. 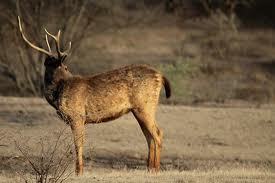 Considered to be one of the most sought after wildlife tourist destinations of India, Corbett National Park also enjoys the unique acclaim of being India’s first national park and oldest in Asia. Dedicated after the famous wildlife writer Jim Corbett, the park has healthy numbers of tigers, elephants and leopards living in its midst. If you are lucky, you can even get to spot the very endangered Gharial in the Ramganga river part of the park. However, to experience the true wildlife experience, do take up accommodations at the Dhikala lodge that is located in the inner reaches of the park. Though the lodge is completely fenced, yet you can experience the true wild by living so close to them. One of the only few tiger reserves of the country to remain open all year round, Nagarhole tiger reserve witnesses the biggest cogregeration of elephants in the season of summer. In fact, it offers the best opportunity in the world to sight leopard in its natural settings. Not only this, the place is treasure house for the nature lovers as it is a fantastic viewing place for tigers and various species of birds too. In order to enjoy the place to its fullest, do take a ride onto the boat cruises or the jeep safaris that will take you into the depths of the reserve and give you the ultimate wildlife experience. Rajasthan and royalty are something that go hand in hand. 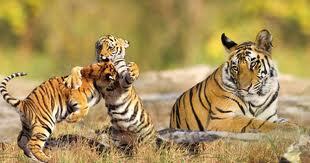 Ranthambore with its tigers are considered to be one of the royal jewels of the state in its wildlife crown. Located amidst the oldest mountain ranges of India- the Aravalis, Ranthambore offers an oasis of wildlife in the otherwise barren mountain area. The reserve’s lake also plays host to a lot of winged visitors from places afar every winter. 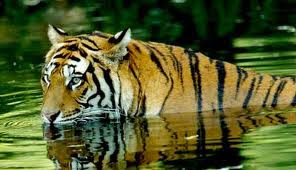 You can even spot Machli, the reserve’s own tiger that enjoys the tag of being the most photographed tiger of the world. Share some of the most exciting tiger stories at the beautiful ancient temple on the top of Ranthambore Fort.